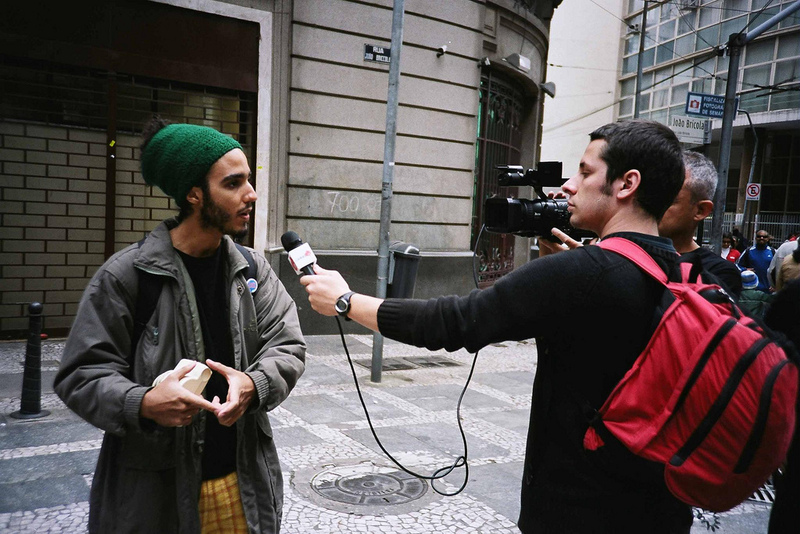 What can mainstream media learn from citizen journalists? Mainstream media was supposed to be dying. Hordes of unpaid bloggers and YouTubers were supposed to start doing the job of recording, disseminating, and analysing current events faster, cheaper, more democratically, and with a more global reach. And yet the old guard is still clinging on and, in many cases, has even been assimilating the upstarts. 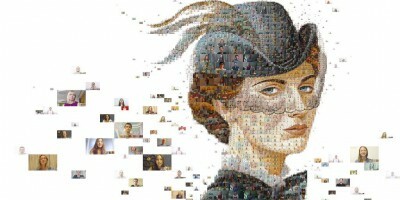 In many cases, “new media” ventures have been bought out: the Huffington Post was bought by AOL, NowPublic.com was snapped up by Clarity Digital Group, Slate was purchased by the Washington Post. Likewise, many “citizen journalists” have professionalised and started writing for established media, and traditional journalists now often keep their own blogs, or are at least active on social media. There is also still a great deal of public respect for established media. In an EU-28 poll, 58% of respondents said they trusted what was reported on the radio, 43% trusted the written press, and only 36% said they trusted what appeared in online media. Less than a quarter (21%) said they trusted what they read or watched on social media. The medium really is the message. Personally I’m sceptical about the general media as well, but I have more confidence that someone on live TV making a statement to millions of viewing public is inclined to be more truthful than someone talking to a video camera for the benefit of a handful of bedroom warriors. Get caught out lying on national TV and you face the wrath of the nation, lying on youtube will get you a few flaming comments. To get a response, we spoke to Eliot Higgins, a blogger, weapons analyst, and citizen journalist. On 15 July 2014, Higgins started a crowdfunded website called Bellingcat, “by and for citizen investigative journalists” and relying on open-source information such as videos, maps and pictures to analyse current events. How would he respond to Paul’s comment? To get another reaction, we also put Paul’s comment to Nic Newman, a Research Associate at the Reuters Institute for the study of Journalism. What did he think mainstream media could learn from citizen journalism? And did he think mainstream media was inherently more trustworthy? For another reaction, we put the same question to Maha, a popular YouTuber who teaches Arabic on her LearnArabicwithMaha channel. Did she think that the global reach of the internet can help change opinions and ideas about other parts of the world? The media’s task is to report the truth, the whole truth and nothing but the truth at all times. Too often journalists allow friendly politicians influence over what they do and do not write. The EU itself is a case in point, the British media might sometimes be too negative, but the continental media is often way too friendly and fails to fully inform the public. To get a response, we took this took this comment to David Levy, Director of the Reuters Institute for the Study of Journalism. How would he respond to Marcel? 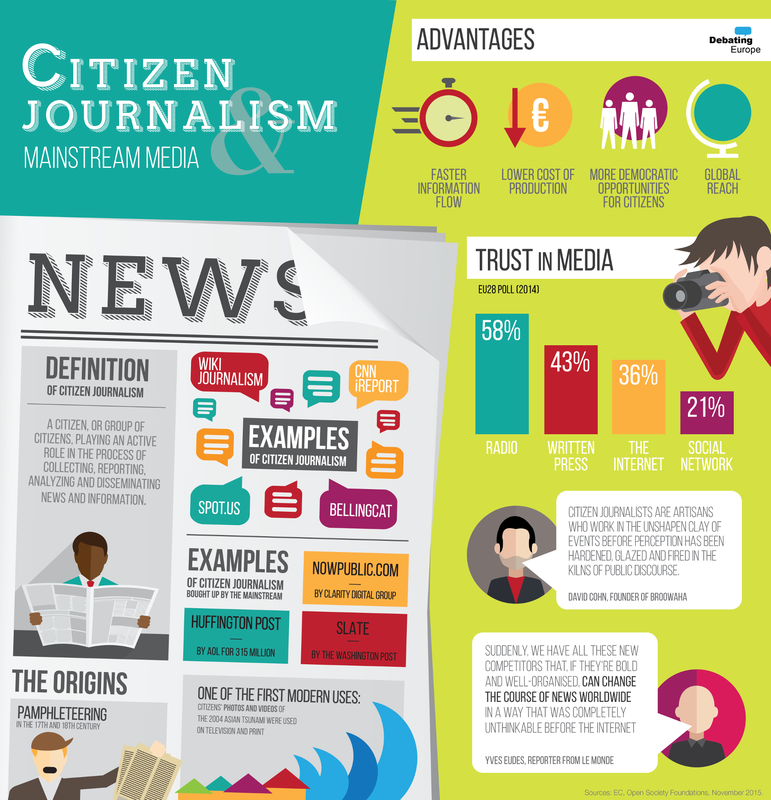 What can mainstream media learn from citizen journalists? Is mainstream media inherently more trustworthy? And what impact is new technology having on how we learn about the world? Let us know your thoughts and comments in the form below, and we’ll take them to policymakers and experts for their reactions! They could start off by having articles from vaious countries in the original language they were written in so that people can cross check the information…with how it is reported worldwide, thus ending the right wing left wing debate in which we have traditionally classified them or any form of government interference. They could push towards new forms of governance rather than just report and push for one person or another…when clearly the ones we have in an educated world are becoming obsolete. They should stop giving the questions to people before interviews so that they can prepare their answers…. and if someone doesn’t come because they didn’t get the questions beforehand, they should not be promoted and be told to f**k off (this is part of the non respected deontology s**t they breastfeed us with to convince us the news is real). They can learn what honesty is. This is what a US journalist did. He told the truth. Why are they all staying silent. Why are they allowing us to self destruct when they could let out what they all know.. Regardless the political bias mainstream media I see two major issues with “citizen journalism”. 1) Lack of responsibility and 2) There are no guarantees that the “citizen journalist” is, in fact, just a “provocateur” on big guys payroll. I suggest circumspection. But don’t get me wrong, I’m not in favor of mainstream media, though. «Was supposed»? Perhaps the gurus who supposed that were .. like.. WRONG? It’s very easy to check facts about sources and whether videos and photos have been edited to fit a story. There is a lot of uncorroborated information that is twisted to suit political view points. As a journalist is quoted as saying, don’t believe anything in the main stream media! These days tv channels such as bbc dont even give us the news – we have to find out quite a bit these days from internet and youtube. The bbc have taken their 40 pieces of silver from eu and are no longer the voice of the people or voice of truth no longer will the world be able to tune into the bbc to get the truth. They should be ashamed of themselves. I wonder if they sleep at night? How many EU bubble media are funded by the commission? 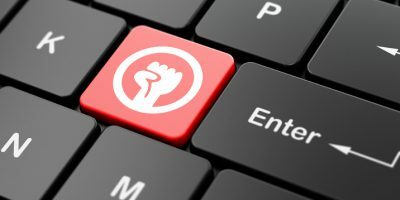 Has the internet been bad for democracy? Will refugees bring the skills Europe needs? 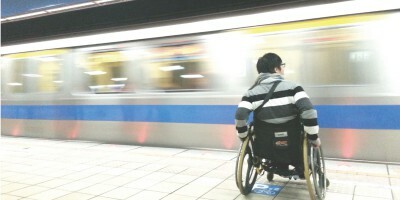 How can cities be made more accessible for disabled people? Does viewing art online diminish the experience?